Four years running! 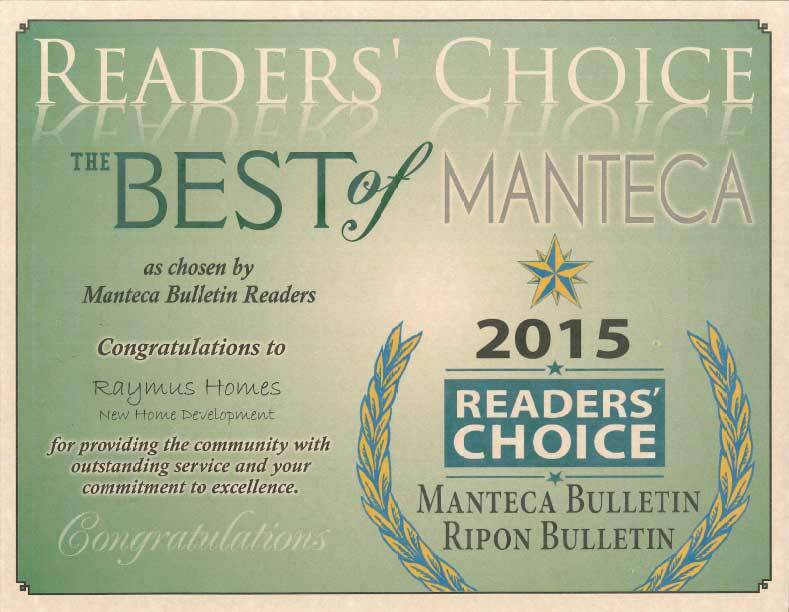 Raymus Homes recognized as Best of Manteca Readers’ Choice for 2015. 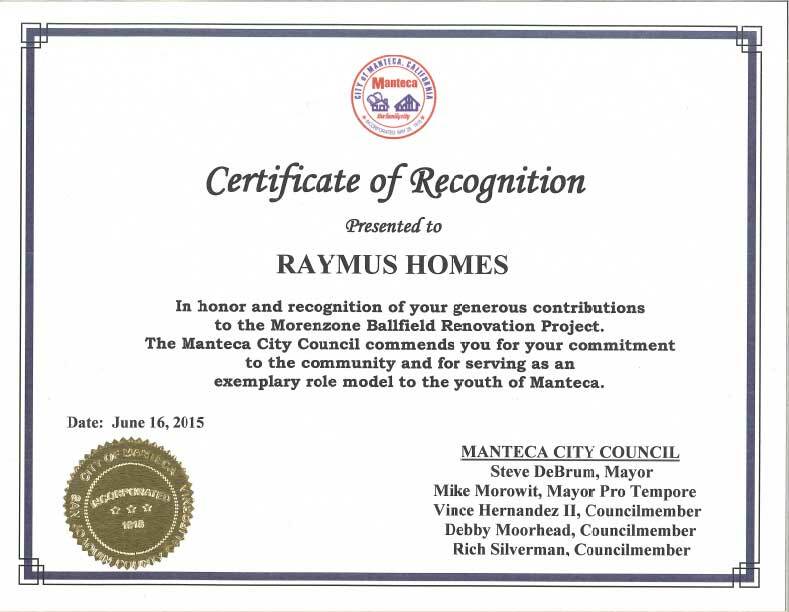 Recognized for contributions to the Morenzone Ballfield Renovation Project. Three years running! 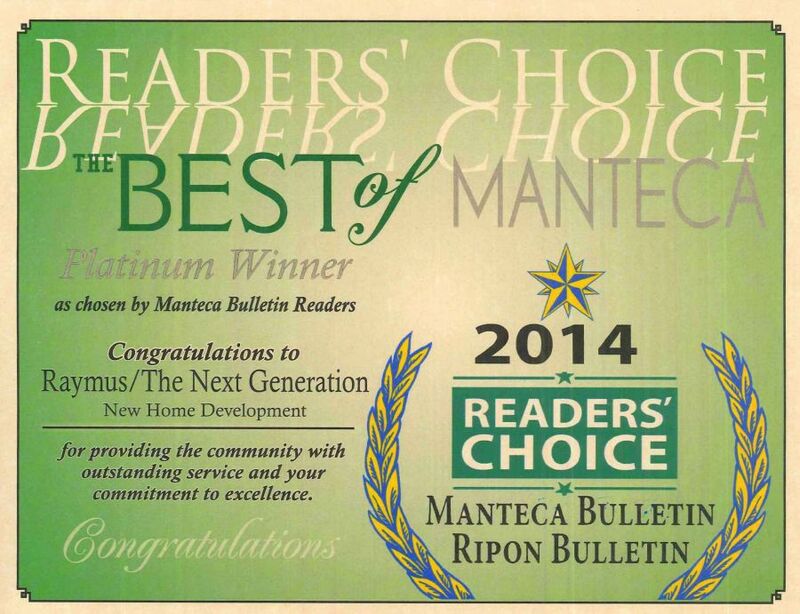 Raymus Homes recognized as Best of Manteca Readers’ Choice for 2014. 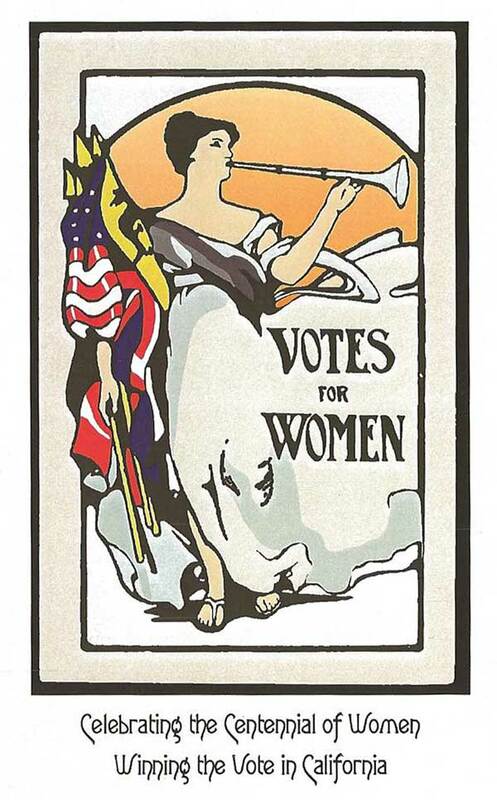 Toni Raymus awarded Woman of the Year for 2012. 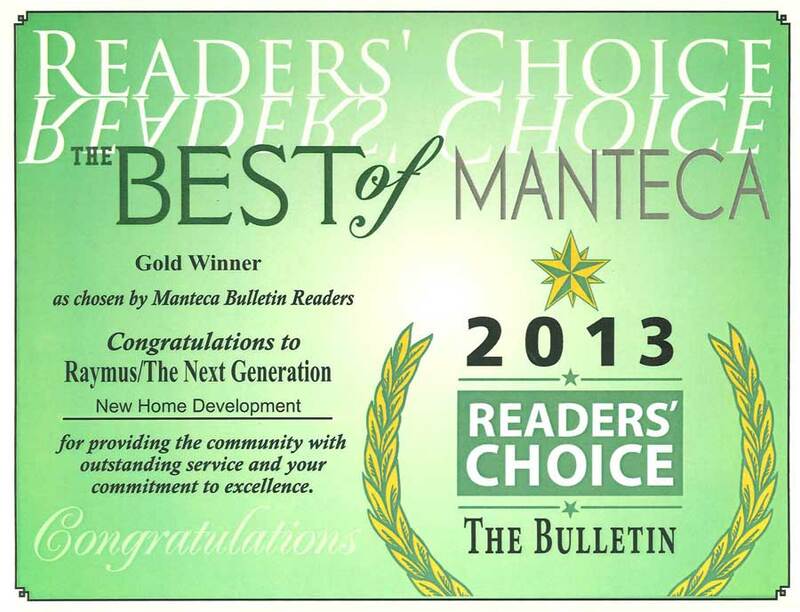 Raymus Homes has also recognized as the Best of Manteca Readers’ Choice for 2013. 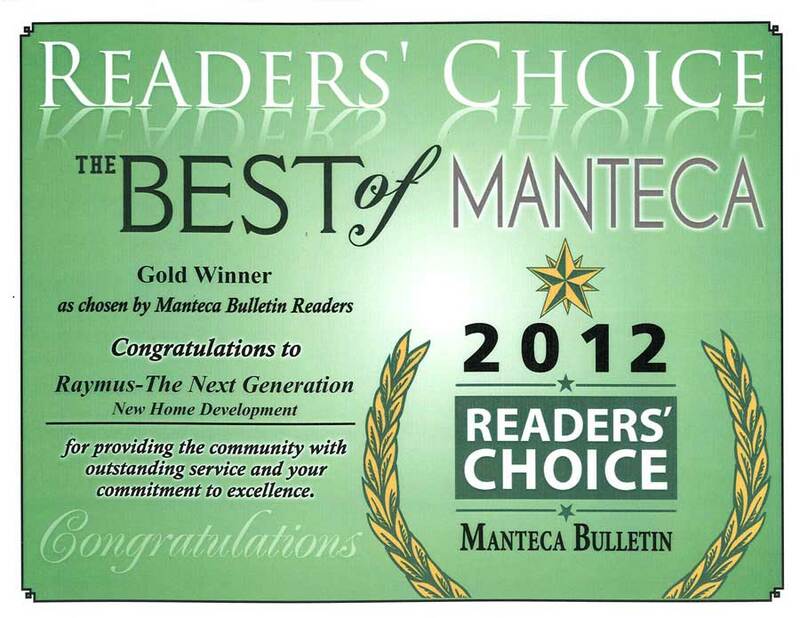 Raymus Homes recognized as the Best of Manteca Readers' Choice for 2012.